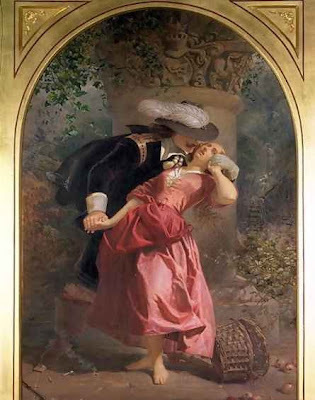 The Kissed Mouth: Must you be so Cavalier about it? 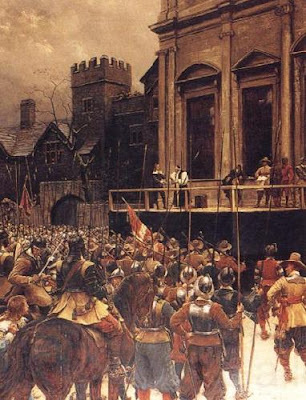 When I was looking at images for my historical art posts a week or so ago, I was struck by how many images of the English Civil War there were. 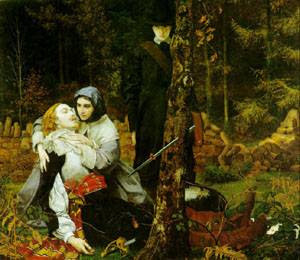 Not just well known ones like The Wounded Cavalier by William Shakespeare Burton, but whole swathes of artists careers seemed to be dedicated to producing paintings of moments from 17th century English life. Fair enough, Victorian England reputedly shared aspects of puritan belief - moral, religious and with an ongoing tension about the role of crown and government. What surprised me was the number of glamorised images there were of cavaliers and the cavalier lifestyle, with its gambling and womanising both in war and restoration. How interesting, I felt, the tension between image and reality, between society’s desires and society’s overt strive for respectability. So here is my thoughts on the subject, or as I like to think of it, ‘Why I love men in big boots’. 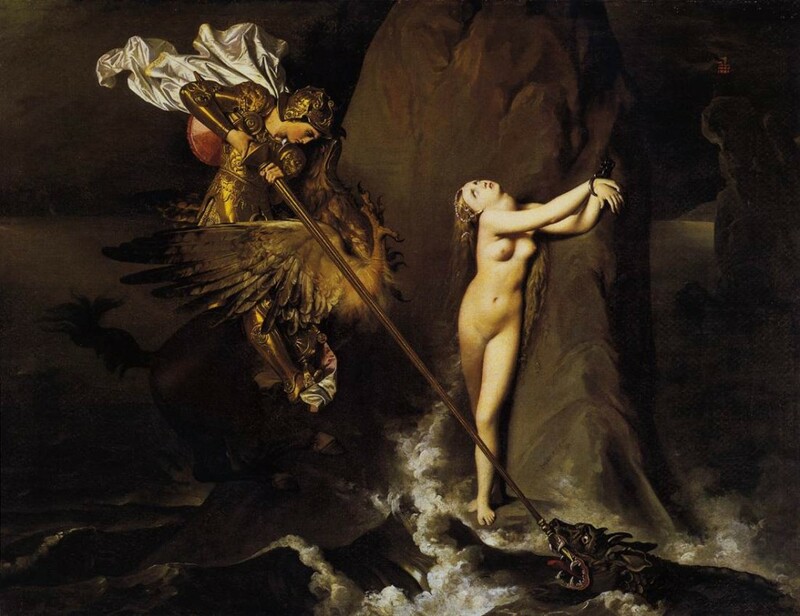 I find this painting both vomit-worthy and weird in equal measure. 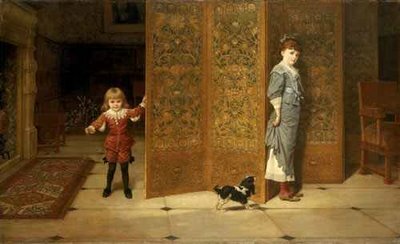 So you have your little cavalier playing hide and seek with a much older girl who has been found by the spaniel. Her hiding place is rather lame, speaking as a expert hider, plus she has given herself no ‘scarper room’, the chair is blocking her escape, but sorry, that isn’t the point. Okay, so maybe we’re saying that they are brother and sister and their future characters are denoted by their costume. She will be a good girl, but he will be drunk and broke by gambling debt by the age of 8. The presence of the dog makes me wonder – it has made the boy’s easy job even easier. Maybe the painting is say that the boy’s life will be one of ease and luxury, but his sister (or possibly his maid) will have a more worthy, but more difficult life. I don’t know. Let’s look at a man in big boots! Well, hurrah! And look at the quality of his sword, snigger snigger. It is easy to see why artists wished to paint cavaliers. They are dressed so beautifully, and the romance inherent in their story makes it perfection in terms of good looking subject matter. 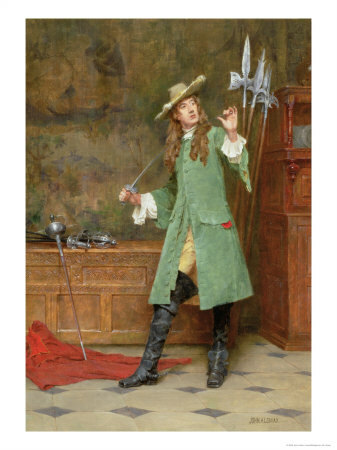 The gentleman above is a civil war cavalier, going into battle and not coming back if the red cloak is anything to go by. Ah, doomed hero and your long boots…. Come the restoration, and things aren’t looking so shiny…. First of all, it looks like the best man at my wedding, well one of them. We had two, because one of them looked like a cavalier who has gambled all his money away. He was the best man who turned up without a suit. You get the picture. No big boots for you, my friend, because your glamour has well and truly gone. A cavalier without a cause is just a man in a lacy collar, and that is all kinds of sad. 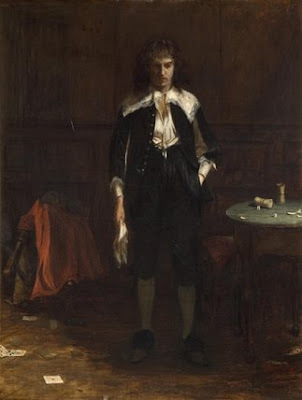 He has a slight air of John Wilmot, Earl of Rochester, or at least Johnny Depp in the Libertine (mmm, more boots) (sorry), the idea of a man who can't adjust to normal life after the battle is won. 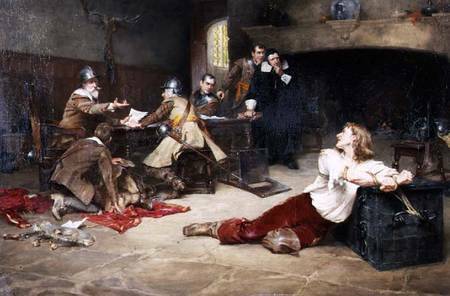 Having just done a piece on two historic figures with execution scenes, this is a particularly odd painting to look at. The main action, if you will, is miles away - we’re behind a horse for goodness sake. I had a better view when I saw The Red Hot Chilli Peppers in Hyde Park. Maybe that is what the painting is about. Charles I execution was allegedly about what was best for the common man, apparently giving the man in the street (or the man behind the horse) a fairer society. This regicide is for us. There are a few cavaliers in the crowd; the man to the left of the horse seems to be the only member of the crowd who is expressing any sort of emotion, and it seems to be fear. He knows what’s coming, and it won’t be good. Hang on, we’re being far too serious, have another naughty cavalier…. Right, firstly, I don’t know what he said to her but not only did she drop her basket but her shoes fell off too, unless she goes around bare foot. Saucy Minx. There are a good amount of apples rolling around as our girl gets grabbed by the naughty cavalier. Do you think that’s velvet he’s wearing? Sorry, you're right, that's not the point. Naughty cavalier. Isn’t this a fascinating image? To start with I thought ‘Why have they tied that woman to a box?’ but that’s no lady. 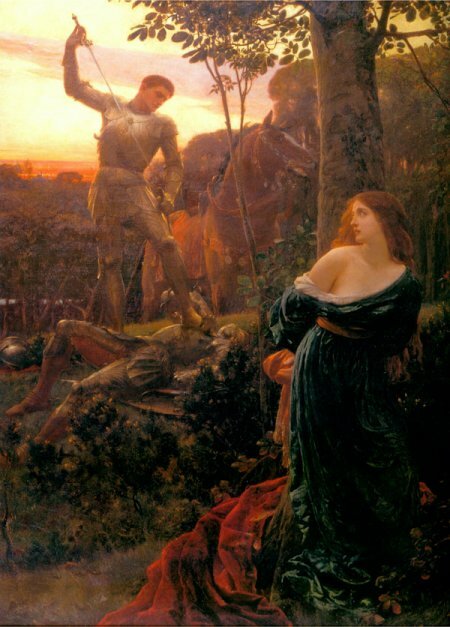 His pose however is classic damsel in distress, as if he is watching a brave knight fighting a dragon behind him. However, he’s looking at the men who are pretty much writing his death warrant. Look how the red chases across the canvas as if his blood is flowing away before our eyes, his stripped clothes drawing our gaze from the prisoner across to his accusers. He is caught as surely as that damn calf in Found, and tied to a money chest, oh the symbolism. Possibly he is a messenger and has been searched for his news, which now he is condemned with. Having just had a discussion with Mr Walker about exactly who the men at the table are, I don’t think it matters. Look at the prisoner’s white shirt, blazing out his innocence. Yes he’s as rich as that money chest, but that won't save him. He is a beautiful martyr and don’t we all love that? A beautiful martyr with great hair in killer boots. Goodness me. Great pictures. I suspect all periods look back to a sort of Golden Age that they believe is better than now. The Tories here seem to live in it all the time when there was law and order and the poor knew there place and touched their forelocks to the gentry. You can see it in all this nonsense nostalgic tv - its even reached the 1950's now. Indeed, I'm waiting for the nostalgia to reach the 1970s. Try and make that look like a golden age - I wore so much nylon I couldn't be allowed near a naked flame until 1981. My procrastination at the library away from my own laptop has got me exploring my google reader more and a good thing too because I find myself visiting your blog more frequently since I started following you months ago. Love it! Keep em coming!